What better way to make your students feel at home than surrounding them with their own artwork? Plus, then you don’t have to spend your hard-earned money on expensive classroom decor—these projects run on simple materials and imagination! Instead of setting each student to their own crafty task, why not start a collaboration? 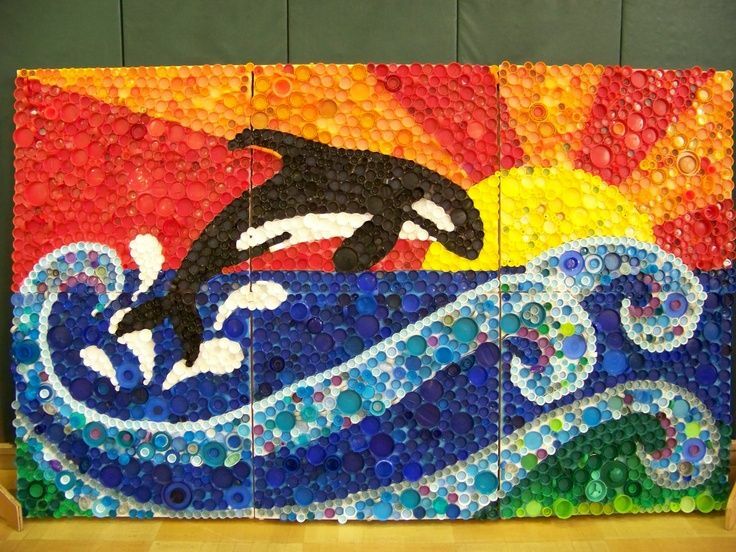 Using anything from recycled paper to student art to bottlecaps, you can meld your class’s collective creative skills into one big piece of art! The first step is to agree upon something to create with your class! Whether it’s a whale, a classical landscape or something more abstract, just make sure your students are excited about bringing the vision to life. Step two: choose your medium. Whatever it is, just make sure it’s durable and not a hazard for your students to play with! (e.g. keep glass beads away from preschoolers). Step three: assign each student a section, then begin creating! Allow your students a few separate sessions to complete their individual pieces. Once they’ve finished, make sure everyone is a part of pulling the creation together! If you need more ideas for a classroom mosaic, there are plenty of resources around the web. We really like this mosaic project, although we prefer using more zany materials than just paper! 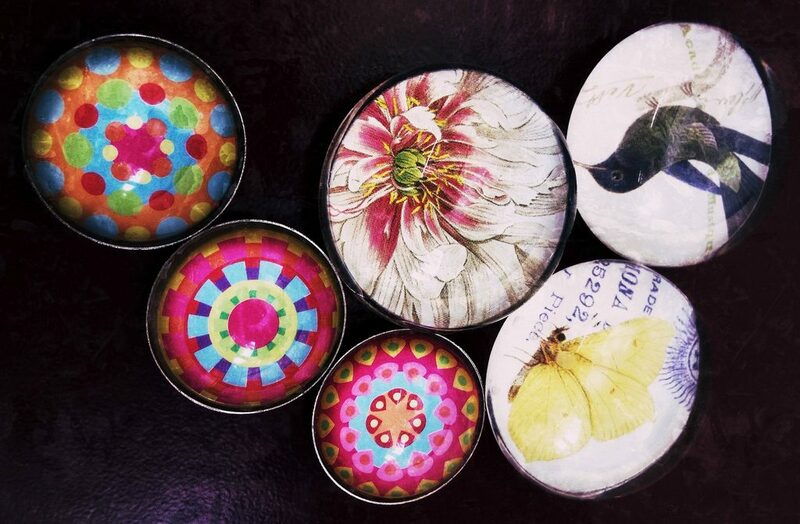 For something gorgeous, timeless and easy, look no further than crafting glass magnets with your students. This fun project allows students of all ages (with a teacher’s supervision, of course) to create dazzling baubles that will last the whole year—and beyond! Best of all, all you’ll need to display the finished product is a magnetic surface. No more fighting the school board trying to hang your students’ art from the walls/ceiling! All you need are some glass beads (we like these, but anything similar will do), magnets, glue, scissors and paper! Here are the instructions for this project. Note that while this recipe calls for scrapbook paper, you can decide whether or not your students draw their own designs. And if you’re not inclined to use a hot glue gun around your students, feel free to opt for another adhesive—just make sure it’s a strong one! Photo courtesy of Sonny Abesamis. Image has been modified. Want to show your students how to create designs so complex and beautiful that they’ll surprise themselves? Then look nowhere other than Zentangle, the tried-and-true practice of creating beautiful patterns, one line at a time! While the finished product might look too professional to be drawn by tiny hands, the simple and structured approach of Zentangle make it easily digestible by kids. Heck, there’s even a classroom pack specifically designed for teaching kids the method! Zentangle is reputed for its therapeutic, calming effects. Once your students have learned the method, it’s a great way to fill up space in the day where kids might otherwise get restless and rowdy! 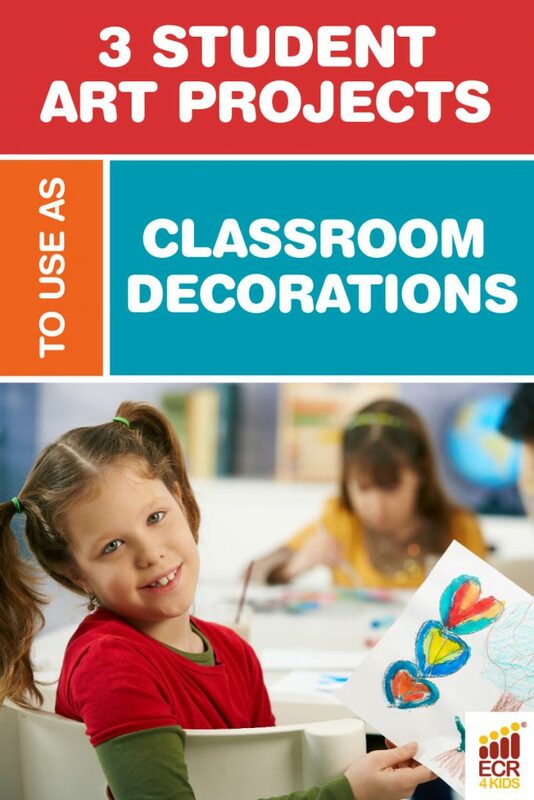 There you have them—three awesome starting points for classroom decor that keeps on giving! Teachers, what special art projects do you have up your sleeves for the start of the year? Let us know on Facebook or in the comments below! And don’t forget to follow ECR4Kids on Facebook, Pinterest, or our blog via email for more of these posts!